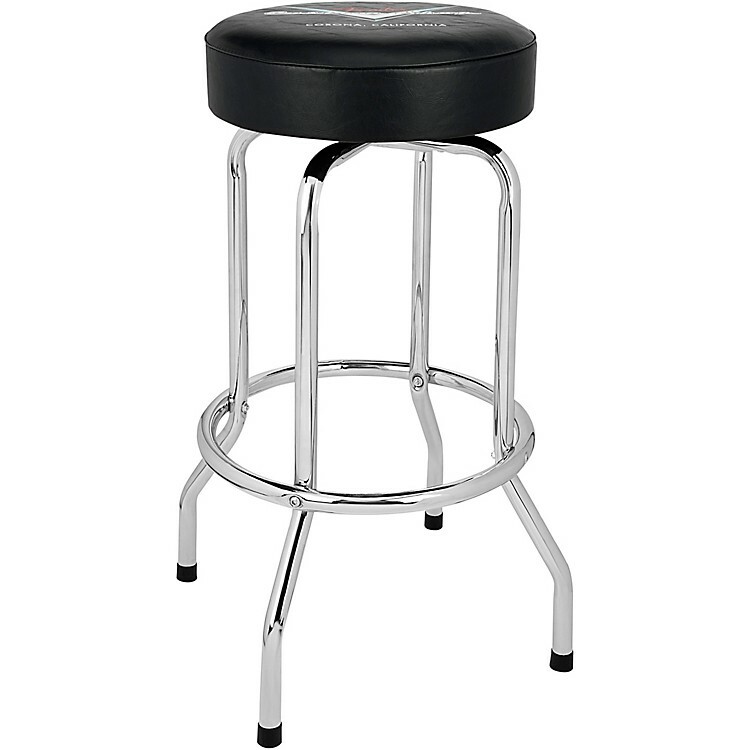 Take a load off with the perfect addition to any bar or jam room. This premium-quality Fender Custom Shop Pinstripe barstool is constructed from a heavy-gauge 1 in. tubular steel frame with a lustrous chrome-plated finish. The thick, foam-padded seat top consists of commercial-grade vinyl and the seat also rotates on a 360-degree revolving swivel. Some assembly is required.